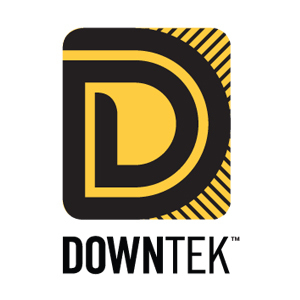 Down Decor, creator of DownTek™ -- the revolutionary hydrophobic and quick-drying down technology -- today announced new key partnerships in Asia, Australia and Europe, extending its position as the leading international supplier of water-resistant down in the global outdoor industry. Industry thought leaders have hailed water-resistant down as an immediate game changer. The demand for hydrophobic technology has been quickly growing; from 2012 to 2013, Down Decor increased their bulk DownTek down production by 2000%. Since DownTek’s launch, 16 international brands have partnered with the company to create superior apparel and sleep systems. The latest additions to DownTek’s partner roster include Hong Kong-based Reecho and Salomon Asia, which will be two of the first companies to bring DownTek jackets and sleeping bags to China. Millet, HeloSport, Salewa and Peak Performance will introduce the technology to Europe while Sea to Summit and Mountains Designs will bring hydrophobic innovation to Australia. In North America, Mountain Hardwear joins the DownTek brand family of Big Agnes, L.L.Bean, Fly Low, NEMO, EMS and Brooks-Range, which were the first brands to bring water-resistant technology to market. Based in France, Millet has signed on to create a new line of ultralight mountaineering jackets in 2013. A key piece of the line is the 700-fill Trilogy DownTek Jacket, which will debut in January at the Winter Outdoor Retailer in Salt Lake City.